Antonio "L.A." Reid is a US record executive, songwriter, and record producer. Best known as the co-founder of LaFace Records, he is responsible for signing and helping bring Mariah Carey, Pink, Justin Bieber, Rihanna, Kanye West, Avril Lavigne, Toni Braxton, TLC, Usher, Ciara, OutKast, and Dido to multi-platinum album sales.He has won three Grammy Awards. He is the President and chief executive of Hitco Music Publishing, based in Atlanta and was the chairman and chief executive officer of Island Def Jam Music Group until 2011, when he signed up to appear as a judge on the 2011 U.S. version of The X Factor. He is currently the Chairman and CEO of Epic Records. Reid has also played a role in the recent successes of artists such as Amerie, Kanye West, Rihanna (alongside Jay-Z), Bon Jovi, and most recently teenage pop phenomenon Justin Bieber. 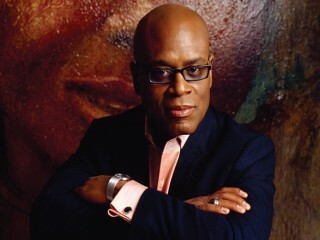 In the last few years, L.A. Reid has also been responsible for the recent high profile signings of major Pop music artists such as Janet Jackson (who left the company after her 2008 album, Discipline), Utada (who also left the company in 2010), as well as former Bad Boy rapper Shyne to the record company. However, in 2006, Reid's label dropped Lady Gaga after three months of signing her. This would eventually be the inspiration of Gaga's Marry The Night video. Reid stepped down as CEO and Chairman of Def Jam in March 2011. Reid became a judge on the U.S. version of the British singing competition The X Factor, alongside its creator and former American Idol judge Simon Cowell, 80s pop star Paula Abdul and former Pussycat Dolls singer Nicole Scherzinger (previously Cheryl Cole).